February in Portland has become one of my favorite times of year. The weather is delightfully unpredictable – today it’s a bit stormy; yesterday afternoon was brilliantly sunny for a couple of hours. Portlanders, an opportunistic bunch, invariably use those pockets of sun to walk their dogs longer, run with fewer clothes in hopes of a vitamin D drenching, and faithfully prepare their gardens for the coming season. The good mood is palpable. While Joseph and I do have an evolving long-term plan that includes a few acres outside the city, I cherish this time right here in the middle of the action, and really enjoy this unique place where front yards are gardens, dive bars have microbrews on tap, and shades of green are even more present than shades of grey. Okay, soliloquy over. 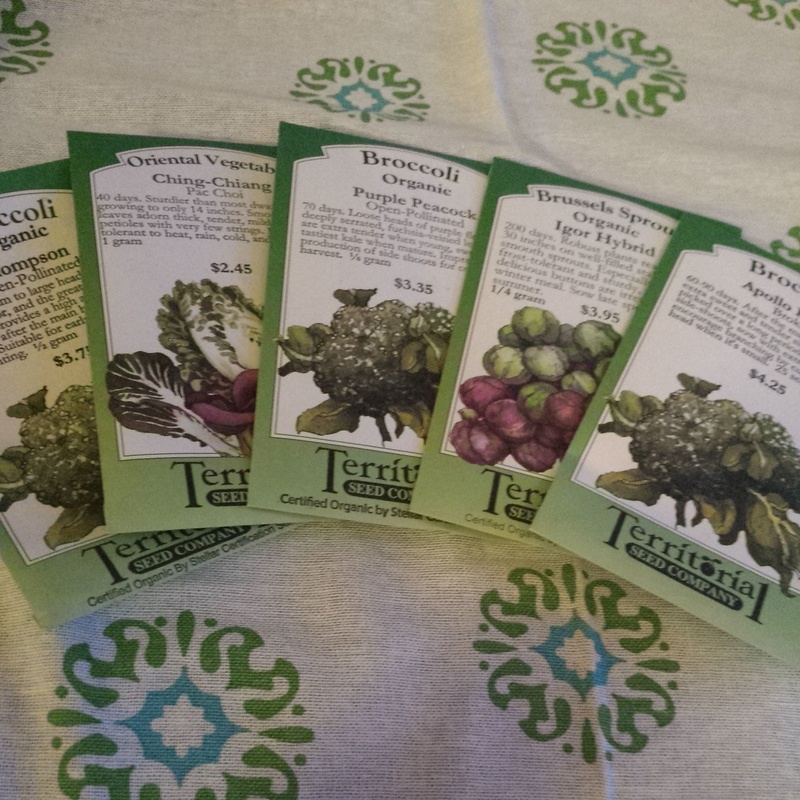 On to the point, which is that my seeds have arrived! 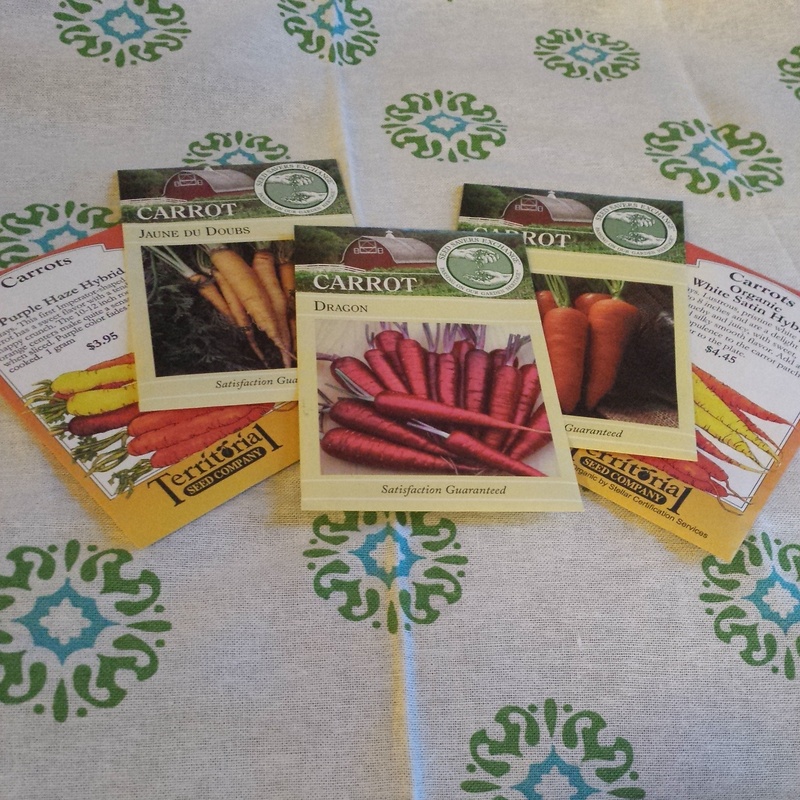 Today my friend Kristen and I will split up the packets (we shared an order from Territorial Seed Company, and from Seed Savers Exchange), and soon it will be time to plant. Painted Lady Improved runner beans. 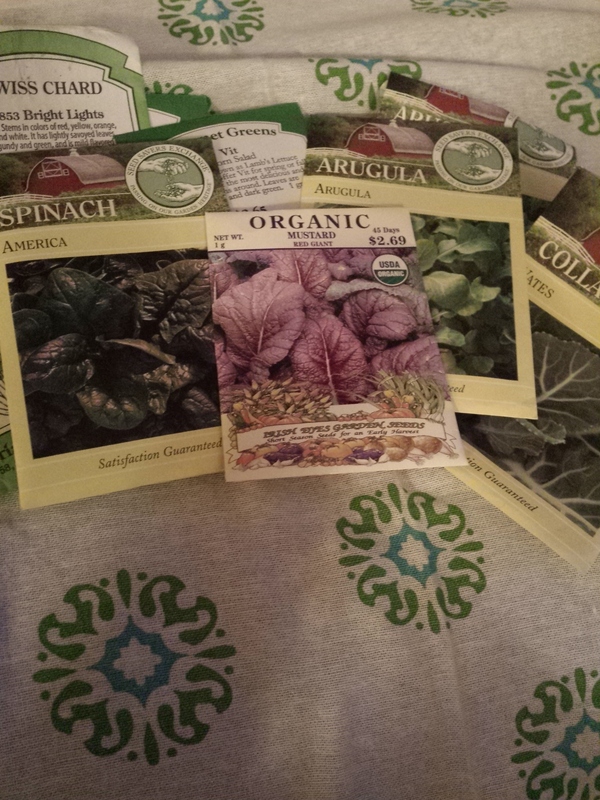 These will be planted among the hops, which are trellised next to the porch. 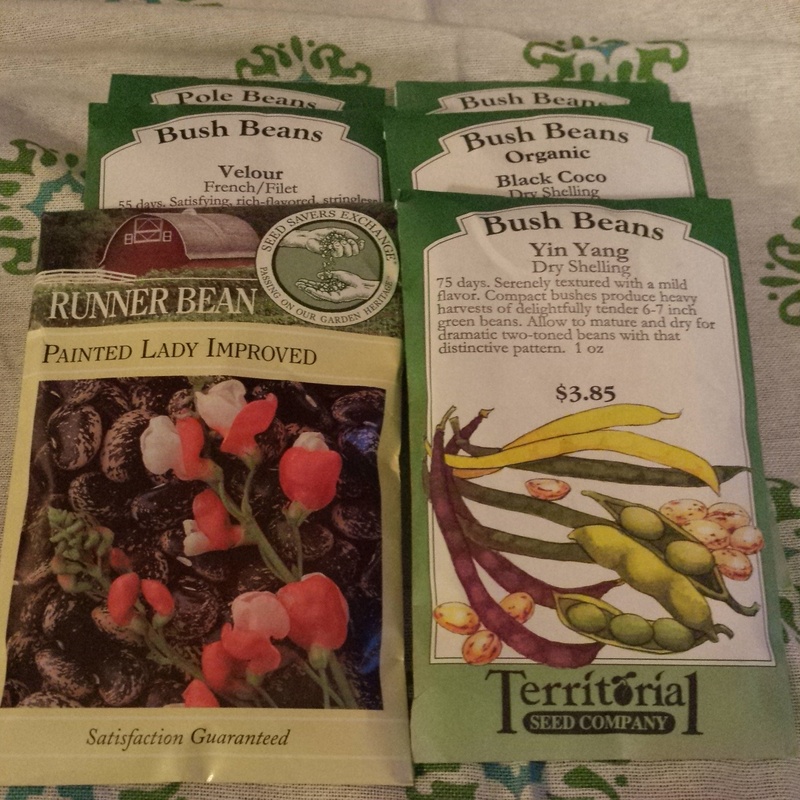 Bush beans: Black Coco dry shelling, Cannellini Lingot dry shelling, Yin Yang dry shelling, Velour french filet (green/purple beans). Pole beans: Cranberry. I plan to shell these fresh. Dragon (red), Purple Haze (purple with orange centers), White Satin (some of my favorite for their white that fades to green at the very top), Jaune Du Doubs (yellow), Red Samurai (red), and Danvers (the traditional orange). I love a colorful bouquet of carrots – crunched straight out of the ground, or honey-roasted for Easter dinner. Shelling peas: Half-Pint (a container variety), Blauschokker (a purple German variety), and Maestro (a long, thin, heirloom variety). 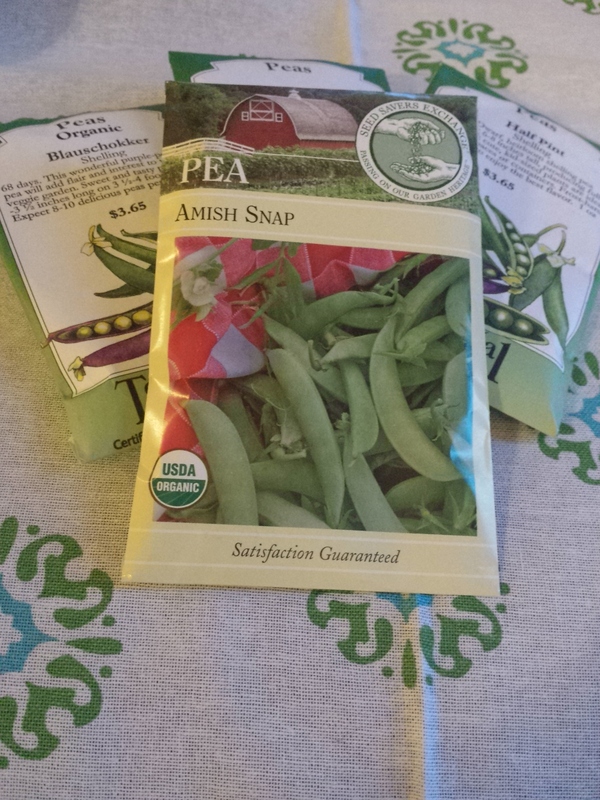 Snap peas: Amish snap peas, an old standby. Red iceberg – you haven’t had iceberg until you’ve had garden iceberg. This kind is actually full of nutrients, contrary to the bleached grocery store version. Red Giant mustard greens, my favorite braised in broth with sliced cured sausage, french lentils, and toasted mustard seeds – inspired by the Nourished Kitchen cookbook. Bright Lights chard, which is, as much as anything, going to be a pretty addition to the tulip and crocus-lined front walkway. But it’s also delicious mixed with quinoa and egg and fried in coconut oil with a squeeze of lime. Thai fritters, essentially. Vates collard greens. A favorite breakfast, sliced thinly and wilted in olive oil and apple cider vinegar, served next to pretty much any other breakfast food. Spinach and arugula and lamb’s lettuce, because, duh. Salad. Thompson broccoli, left over from last year. Apollo broccoli, a tall, thin variety that produces lots of florets. Purple Peacock, a broccoli-kale hybrid favored by local chefs. Igor brussels sprouts. Eat brussels sprouts pan-fried with bacon and a splash of vermouth, and then try to tell me you don’t like this, the unfairly-dethroned king of vegetables. Pepinex, your classic, phallic English cucumber. Mexican Sour Gherkin, a small, round one that is purported to taste as if it’s already pickled. Miniature white cucumbers, which I am anticipating to be irresistibly cute. We’ll see! Tip-top nasturtium blend. Black velvet nasturtiums. Sunflower mix. Marigold mix. “Beneficial Bug Mix” from Territorial. 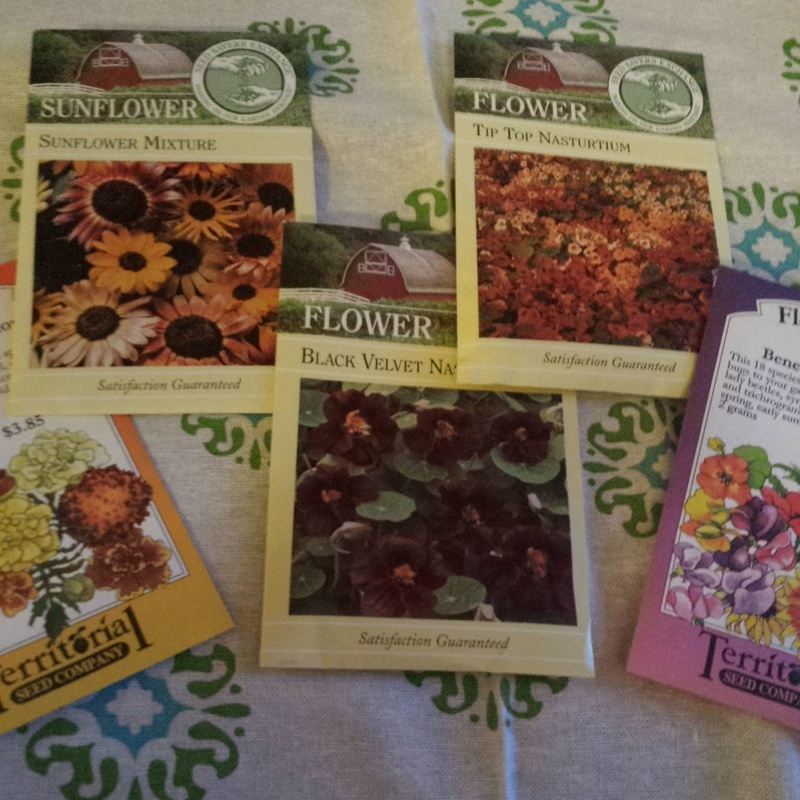 Other flowers I’ll grow from starts. Joan rutabaga. French Breakfast radish. Rosa Bianca eggplant. Red Kuri hubbard squash. Waltham Butternut squash. Black beauty zucchini. Sunburst patty pan squash. A variety of leeks and onions. Tomatoes, hot peppers, basil, another couple of additions to the herb garden, and flowers to be determined. 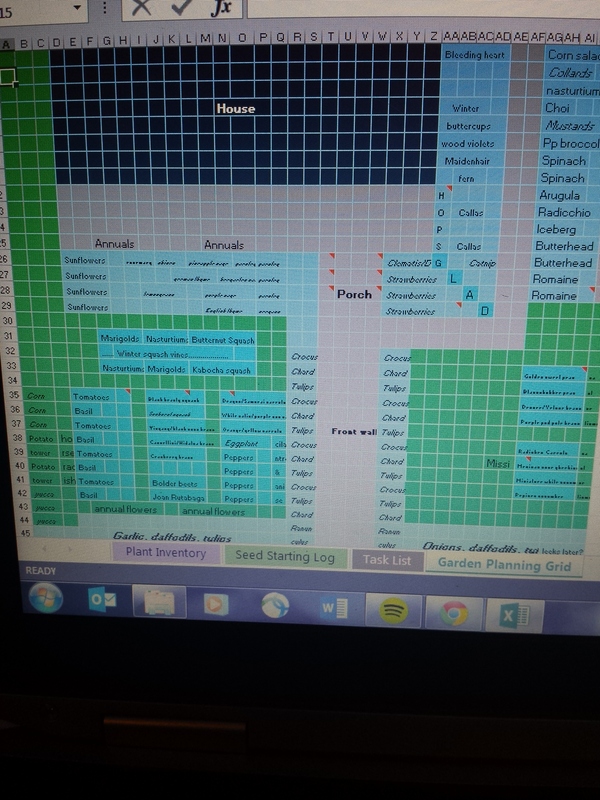 Above is an early draft of my garden plan in Excel, thanks to this free garden planning template, which I strongly encourage you to download. This satisfies both the creative and linear sides of me, and has lots of helpful tricks. 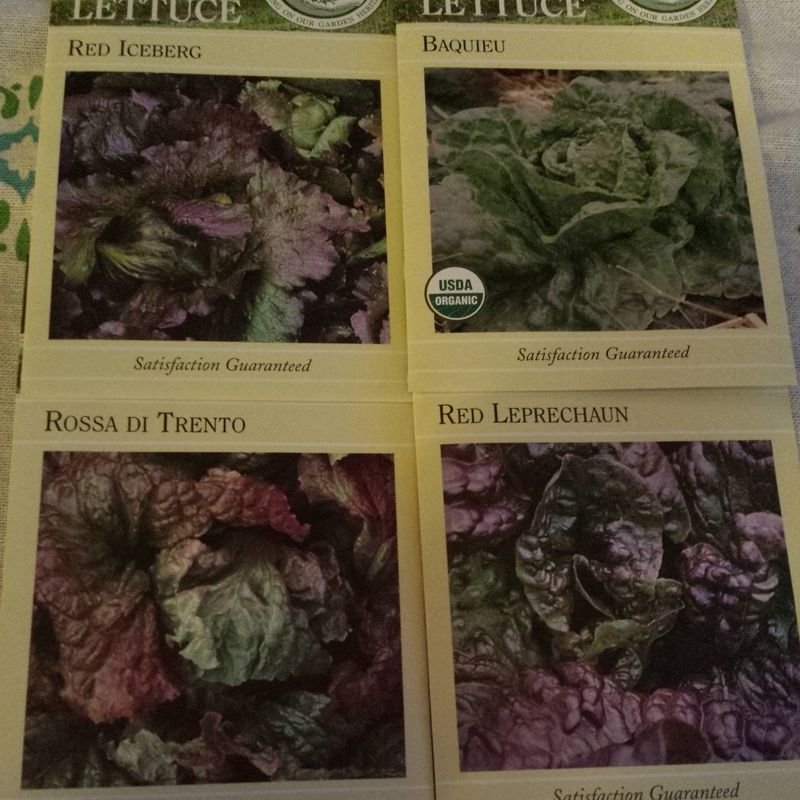 What are you planning to grow this year? Any new novelties or old favorites? 07 Feb	This entry was published on February 7, 2015 at 6:57 pm. It’s filed under Collection and tagged excel garden planner, garden, gardening, heirloom vegetables, kitchen garden, organic gardening, portland garden, portland organic gardeners, Seed Savers Exchange, territorial seed company, urban garden, urban homestead, vegetable garden. Bookmark the permalink. Follow any comments here with the RSS feed for this post. I’m totally jealous, we are under a foot of snow here in Michigan right now. An ambitious plan, my dear! Y ou really have room for t his? Hope it is a good year for gardening.